Hot Chocolate Sticks - The EASIEST Way to Make them! Pour hot milk over one or two of these hot chocolate sticks and create a delicious cup of hot cocoa! 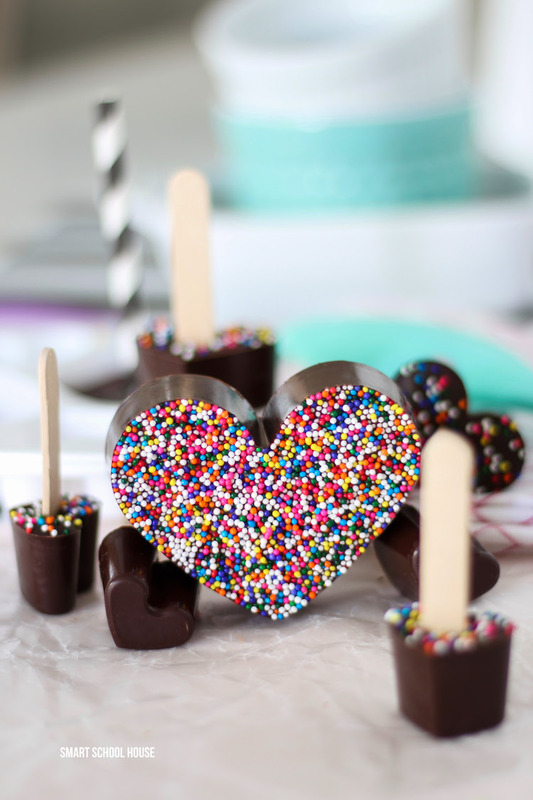 Today I’m sharing the easiest and funnest way to make a hot chocolate stick and they’re shaped like hearts, just in time for Valentine’s Day. With kids, Valentine’s Day becomes a family event. We love spending the day with our kids and finding special ways to celebrate. 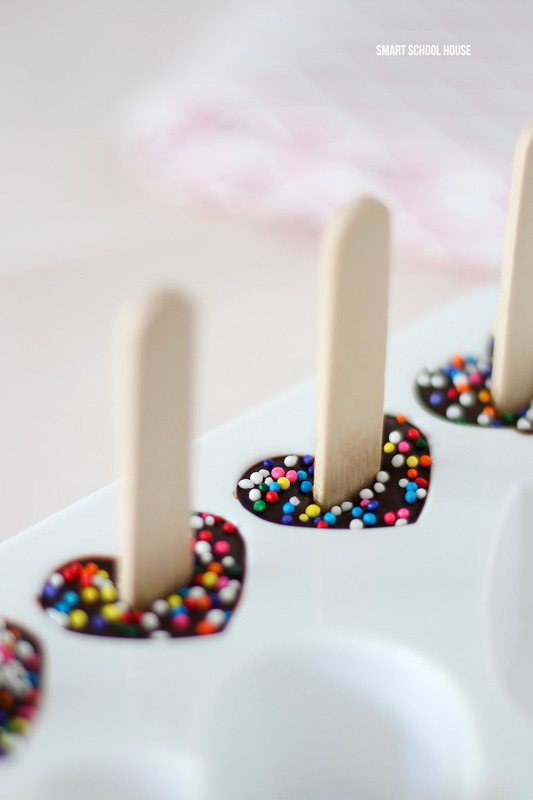 Today we made these hot cocoa sticks in the shape of hearts and added some sprinkles for color. Do you love hot chocolate as much as we do? We enjoy hot coca starting in the late fall all the way through winter. 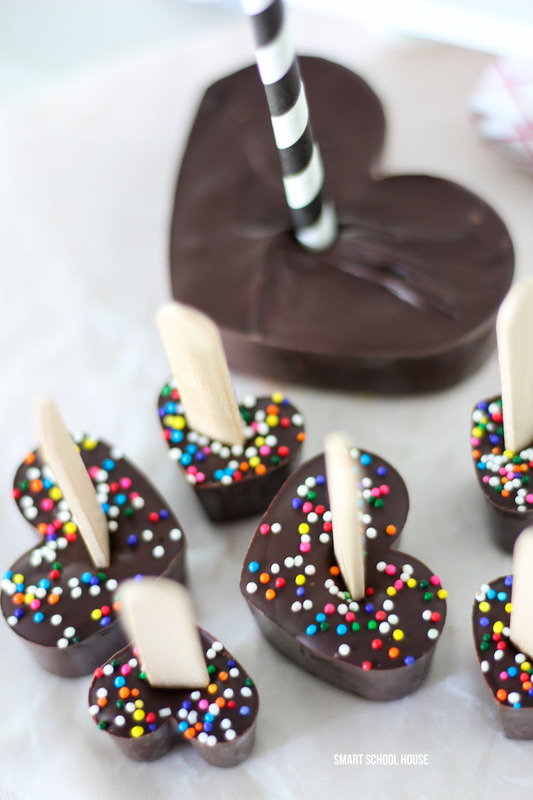 These little heart cocoa sticks are perfect for DIY Valentine’s Day gifts too! Just wrap them in small cellophane gift bags. So cute! We made some large chocolate hearts for making more than 1 cup of hot chocolate as well as some small chocolate hearts that can be eaten off of the stick. Kids love doing that! 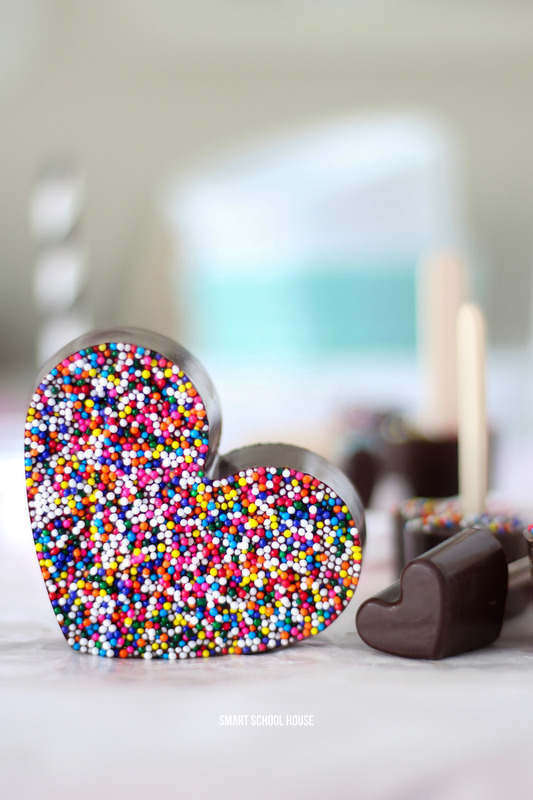 To get the sprinkles on the bottom of the heart, simply cover the bottom of the ice cube tray in sprinkles and pour the melted chocolate over it. 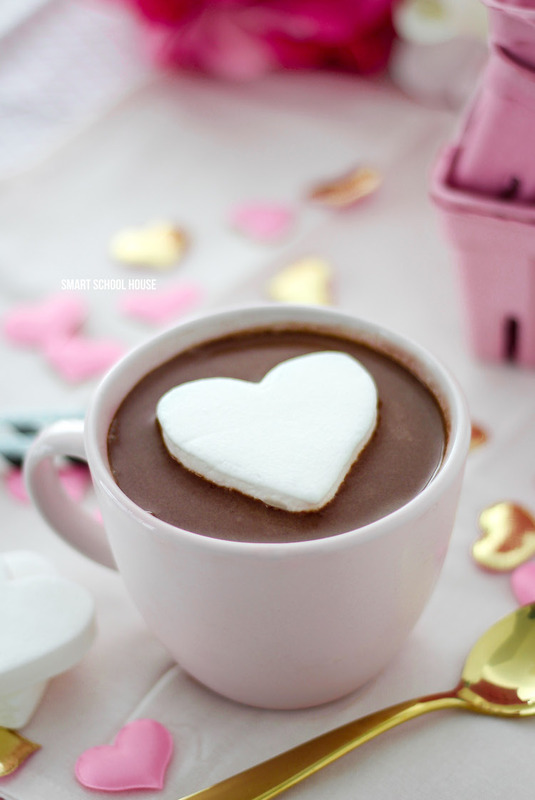 To make hot chocolate, stir or drop the chocolate hearts into hot milk. The smaller the hearts, the more you can add to your cup! Want to make this Valentine’s Day Hot Cocoa even MORE FUN? 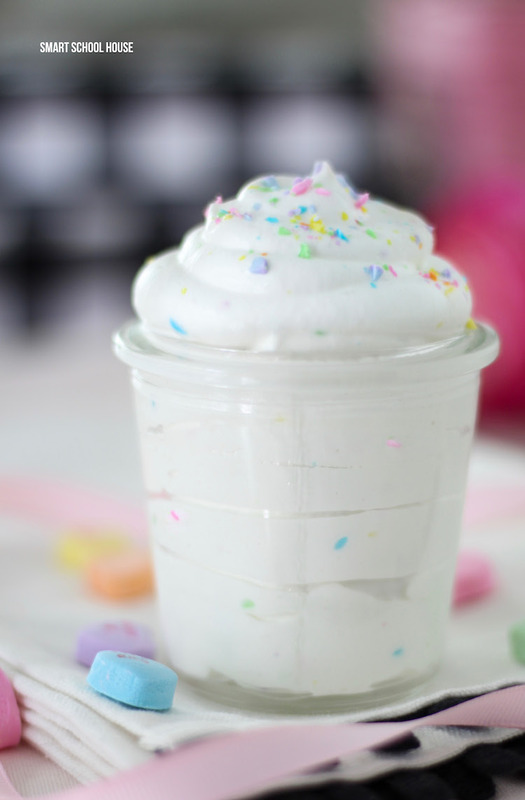 Add a little Conversation Heart Whipped Cream on Top! 1 bag of Dove chocolates (found in the candy isle). It melts so easily! Remove the chocolate candies from the foil wrappers (start with about 10) and place them into a microwave safe bowl. Place the bowl in the microwave and heat up the chocolate in 30 second intervals, stirring in between. It usually takes no more than 3 intervals. 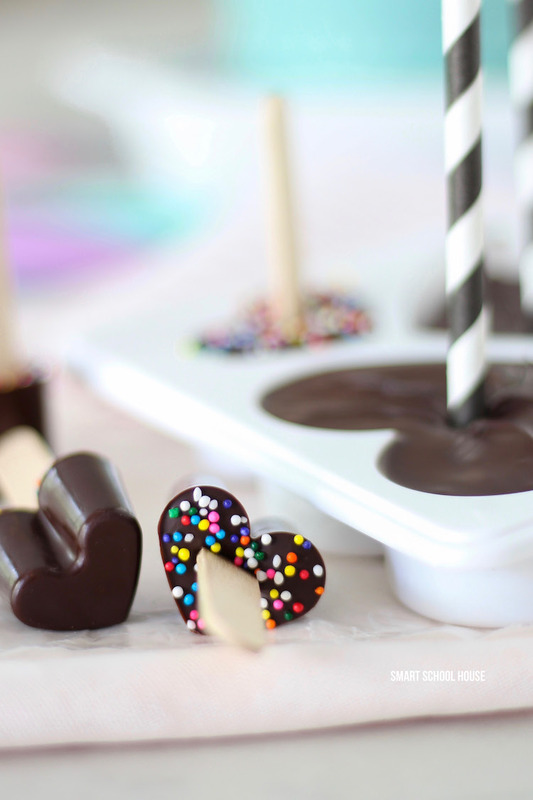 Add 2 teaspoons of flavored extract to the melted chocolate. Use a spoon to pour the melted chocolate into the baggie. Remove the baggie from the cup and cut the corner off of the baggie, allowing the chocolate to come out. Gently pipe the melted chocolate into the ice cube trays. Tap the trays of melted chocolate to allow any bubbles to come out of the chocolate.